Where do MBA Students Want to Work After Graduation? Ask students why they are pursuing a Master in Business Administration (MBA) degree with Walsh University, and they’ll probably say they are driven by wanting to change their career as well as the world of business. In what industries, though, do these innovators want to enact such change? This article looks to some of the top fields in which MBA graduates pursue positions after graduation and some of the strength that these areas hold. A survey completed by the organization, Training the Street, revealed in 2016 that nearly half (47.44%) of polled MBA graduates aimed for careers in banking. More than half of that percentage had targeted positions in major international investment banks, such as Goldman Sachs or J.P. Morgan, with the remainder of MBA graduates working for smaller banks or equity firms. Jobs in the upper echelons of the banking industry, even at the national or regional level, can provide MBA recipients a fast-paced corporate environment where quick thinking can make a big difference for high-ticket clientele. The field requires expert knowledge of the industry and can require long hours, but the salaries can be substantial. The field of consulting is also one of the most popular for the emerging MBA graduate. The Training the Street data set mentioned above showed the next biggest pool of post-MBA professionals was in the realm of consulting. These numbers suggested that roughly 16% of respondents set their sights on a consultancy position. One of the advantages of working with a large consulting firm, such as McKinsey & Co., Deloitte, or the Boston Consulting Group, is that they place particular emphasis on professional development. New hires can enjoy the mentorship of more senior members of the team, affording MBA graduates potential increased fulfillment and a better work-life balance. The same perks can be found at regional consultancies, wherein the focus on individual strengths can result in workplace success. Many MBA graduates also favor positions in the technology industry. Whether it’s a position within one of technology’s titans such as Google or Apple, or a smaller organization, these companies can excite candidates with their encouragement of innovation and big new ideas. In these environments students can use their carefully honed skills while continuing to learn and evolve professionally by thinking in new ways. The anticipated growth of many technology companies in the near future is also exciting to MBA graduates. A Graduate Management Admissions Council (GMAC) poll reveals that nearly 90% of the technology companies surveyed were planning to add new employees with MBAs to their rosters. While not the most popular, one of the fastest rising fields for MBA graduates exists in the startup world. Training the Street noted that slightly more than 7% of survey graduates pursued roles in the startup realm. Startups, from those that thrive in Silicon Valley to others across the country are finding untapped spaces for business innovation. They can be satisfying because they offer recent MBA grads full access to projects and to be hands-on throughout their development and implementation. Startups also don’t have to be small: Amazon, one of the giants of modern business, uses a team model that is based on the startup mentality. Whether you’ve hoped for a career at a top-tier financial firm since you started your degree or want to make a difference as part of a smaller corporation or startup closer to home, an accredited online MBA program such as the one offered by Walsh University can help get you there. 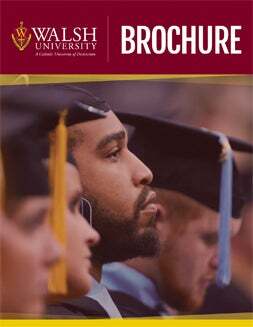 Voted one of the Best Affordable Online MBA Programs by GetEducated.com and a 2017 Business Education Alliance Member of the Association to Advance Collegiate Schools of Business (AACSB), Walsh University’s online MBA program offers the benefits of exceptional curriculum and optimal convenience. Contact us to find out more about Walsh University’s online MBA program. Read our earlier blog posts on Why Get an MBA in Healthcare Management? and Top 5 Resume Tips for Recent MBA Grads.